Pune - Ahmadnagar - Shani Shingnapur - Aurangabad - Daultabad - Ellora - Sillod - Ajanta. 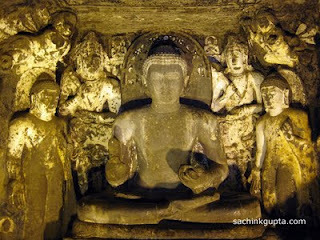 9:00 am to 5:30 pm; Note: Ajanta Caves are closed on Monday. 1. Why name Ajanta? As the place was unknown to the public (Janta) since long time, so as the name, A-Janta. 2. Ajanta Caves, excavated between the 2nd century B.C. and the 6th century A.D. are renowned for Buddhist paintings. 3. 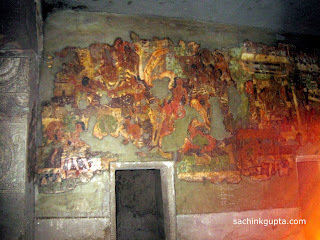 Ajanta represents the most perfect example of Indian wall paintings. 4. 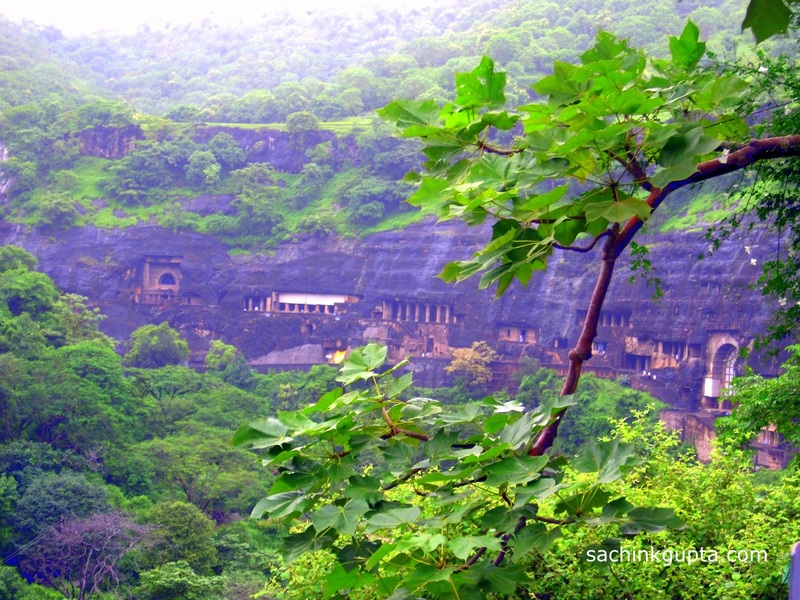 For a thousand years, Ajanta lay buried in the jungle-clad slopes of the western mountain range, until in 1819, It was discovered accidentally. 5. Ajanta Caves made an ideal site of horse-shoe shaped rock rising over a ravine alongwith the "Waghora river". 7. Cave No 9, 10, 19, 26 and 29 are chaitya halls and rest monesteries are vihars. 8. Caves 1, 2, 16 and 17 are fitted with spotlights, available for use on payment. 9. The central theme on the walls comes under two heads - narrative scenes from the Buddha's life and illustrations of Jataka fobles pertaining to Buddha's previous incarnation. 10. 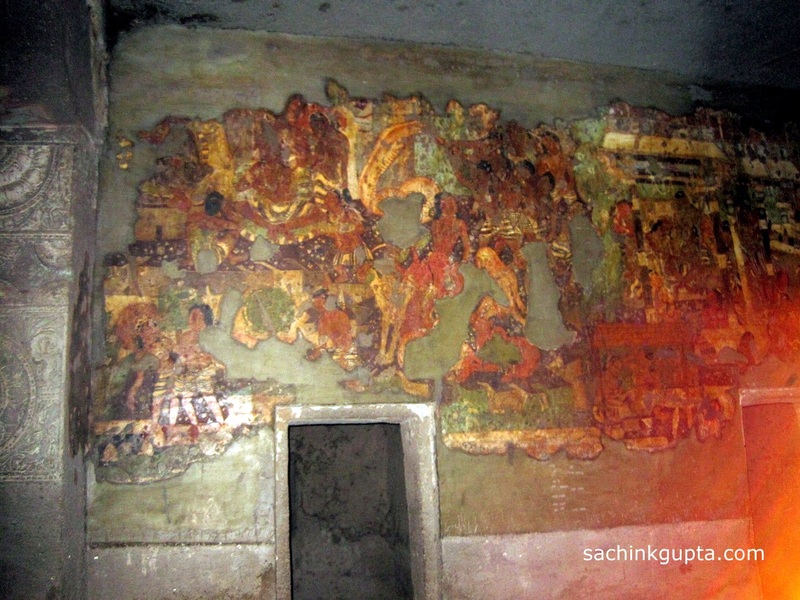 The paintings inside the caves, include geometric designs, floral and ornamental motifs, flying figures of celestial beings, animals, birds, plants. 1. To start early in the morning, stay nearby Ajanta caves area, and reach at night to Ajanta village. 2. Try to start early in the day, so that It wouldn't be exaustive. 3. During peak season, There is long queue for tickets, also for the bus drop from Ajanta Parking place to the base of Ajanta caves. So try to be early in the morning, We got our bus sharp 9 A.M.
4. Bring ample snacks and water before starting for the Ajanta caves, as you wouldn't get anything up the hills. 5. 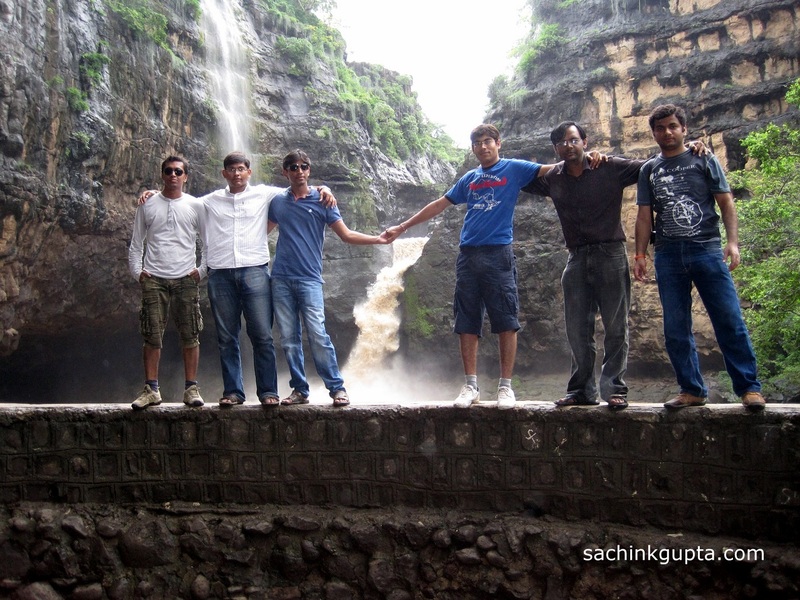 There are some small waterfalls during monsoon season, that can be enjoyed. 6. When you finish all the caves, explore another little big waterfall, follow the path that connects to the bridge. 7. 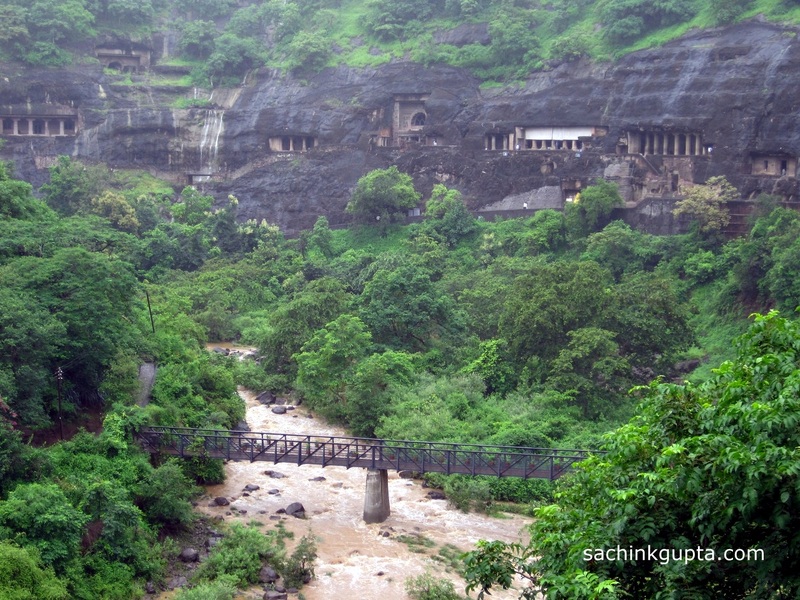 To have different views of the Ajanta caves, You have to follow bridge root, not the same root while coming back. 8. 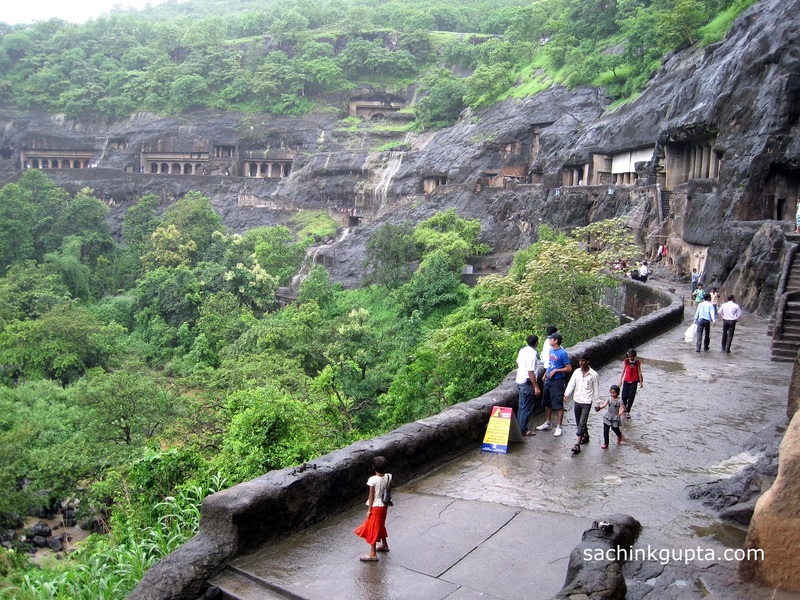 You can have a guide for the whole Ajanta caves visit, or you can choose to have different guides at some specific caves, and pay some small tokens to them. 9. It will take 4-5 hrs to cover all the caves, depending on how you are traversing the caves from the base area. 10. Nearby Ajanta parking area, There is an ATM, and many shops that have been commercialized. Bargain as much as you can, while purchasing the souvenirs. Thanks to all my amdocs friends - Tarachand, Anish Bapna, Dhiraj Masodgi, Jatin Wadhwa, Avnish Garg, Sagar Ambastha to make this trip more happening and enjoyable. 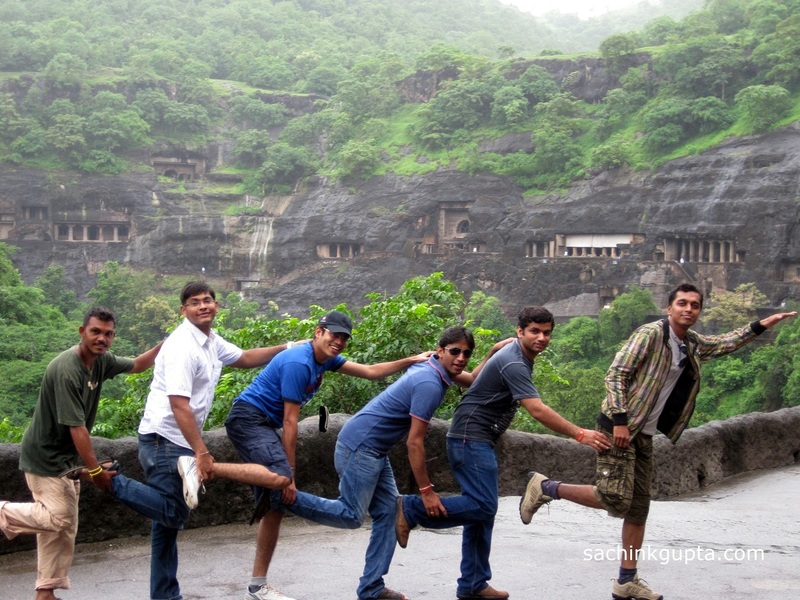 Visit other World Heritage Site - "Ellora Caves" [100 Km away from Ajanta Caves] in Maharashtra. With rain on second day it made us our day,surroundings were beautiful and we are ready for fire. Very informative tips man, Love to see this place soon. I went to Ajanta & Ellora in 2008...but you have really reminded me how pretty it really is. thanks for this post and nice snaps. thanks for writing so nice post about Ajanta & Allora. we would like to know, we will be staying in Aurangabad, and here for 3 days. what all places we can roam around nearby Aurangabad these days. then we will be in Mumbai for 2 days. please let me know in details before November end. I just like all your posts and details and snaps of all the places in Maharashtra.